One of the many things I like about social media is its spontaneity. Especially on Twitter. While having 18,000 plus followers certainly helps in terms of being exposed to a wide range of timely topics, it also affords one the opportunity to start an impromptu conversation, in which the exchanges are often times unfiltered or unguarded. In short, you are apt to get a real response at that moment, as opposed to during a more formal dialogue. In all the years in which I have been covering this industry, I have certainly encountered a number of lawsuits involving eProcurement vendors. One example that comes to mind, is when the receivers for Fox Meyer Drugs sued SAP, because they attributed the large chain’s demise to a failed ERP implementation. SAP settled out of court. Of course there have been other controversies that did not result in a lawsuit. 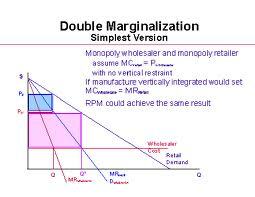 Take the twice failed VHA JD Edwards and Oracle eProcurement implementations. The consequences of these failed initiatives ultimately led to a congressional hearing, largely due to what happened at the Bay Pines facility in Florida. 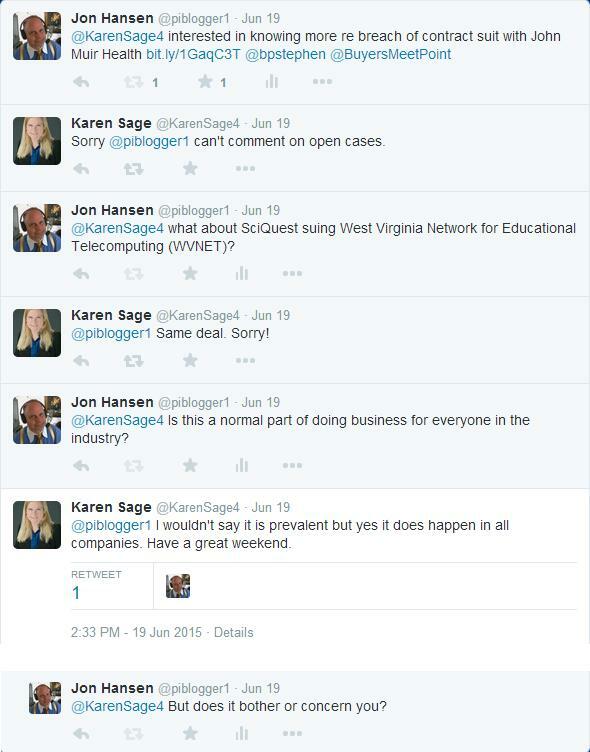 My point is simply this, while not unheard of, I am not sure about Karen’s suggestion that lawsuits happen in all companies. Perhaps she would have been better off saying that all companies face challenges from time-to-time in terms of implementations, and that the majority do not end up in lawsuits. I could probably accept this as being a somewhat reasonable perspective. The above notwithstanding, I cannot recall a vendor being involved with two customer-centric lawsuits at the same time. Especially when you take into account the fact that it was not that long away that CEO Wiehe was rattling what appeared to be a legal saber, when he challenged the right of both Colorado and Oregon to cancel their contracts with his company. By the way, I am open to anyone correcting me on the question about a vendor being involved in more than two customer lawsuits at the same time. My point is simply this, when it comes to contentious relationships with customers, is SciQuest the exception to the rule, or are they the rule of thumb? If it is the latter, what does this say about the vendor community and, our industry as a whole? Editor’s Note: From the standpoint of the UK and Europe, are lawsuits between eProcurement vendors and their customers the norm?